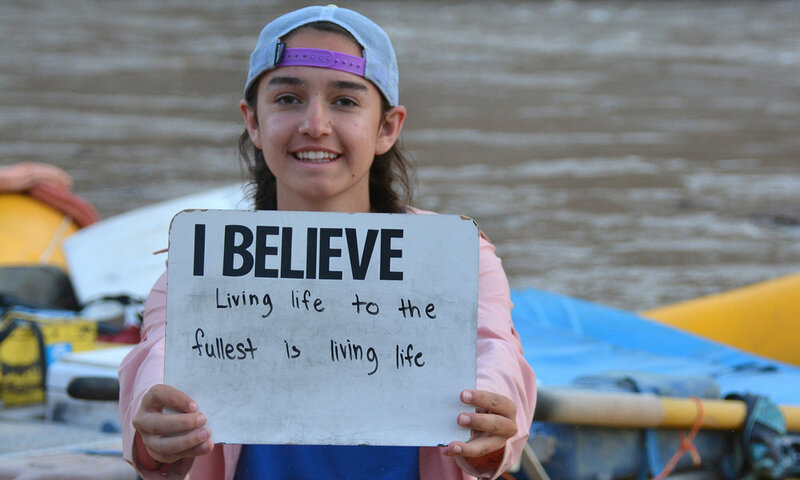 GOALS youth river expeditions are unparalleled in their combination of methods, setting, and objectives. This is not just an outdoor education program built on a rafting platform. Rather, the GOALS experience is centered around our innovative curriculum that leverages the power of a wilderness river expedition to create connections and metaphorically teach life lessons that last long beyond the take-out. Skillfully created by professional educators and river guides - then attentively honed through 10 years of expeditions and thousands of river miles - the GOALS journal does much more than just develop outdoor skill sets and provide academic enrichment opportunities outside of the traditional learning environment. Multiple versions have been written - differentiated specifically for the canyons where we are delivering it and for the age of the kids using it to learn and grow. 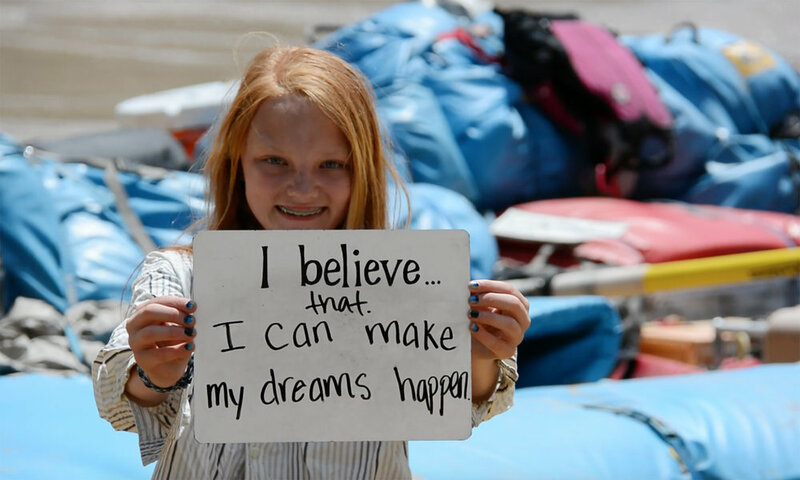 This allows kids from age 10 through college to grow through a single GOALS expedition close to their home, or to return for multiple journeys on the most revered rivers around the world. In either case, the time they spend exploring with GOALS will forge new connections to the things we think matter most – peers, planet, and self. This is our mission,and it serves as the north star we follow when honing the curriculum that sets us apart. The unique activities and metaphorical life lessons that wild rivers and our curriculum combine to offer GOALS participants encourage imaginative discovery, build individual confidence, and generate a strong sense of camaraderie among groups who bond throughout the experience. We are proud of the positive impact our expeditions have on the kids we serve, and will continue to ensure that the growth which comes from a GOALS river expedition is available to every interested child. After all, every kid needs GOALS. and their capacity to impact the people and places around them. Many children experience their first GOALS expedition in elementary school, then return through middle and high school - even college. Therefore, while every GOALS expedition is centered around our mission to connect kids with peers, planet, and self, our curriculum is differentiated to focus a little more intentionally on forging the connections that are most powerful and appropriate for specific age groups. 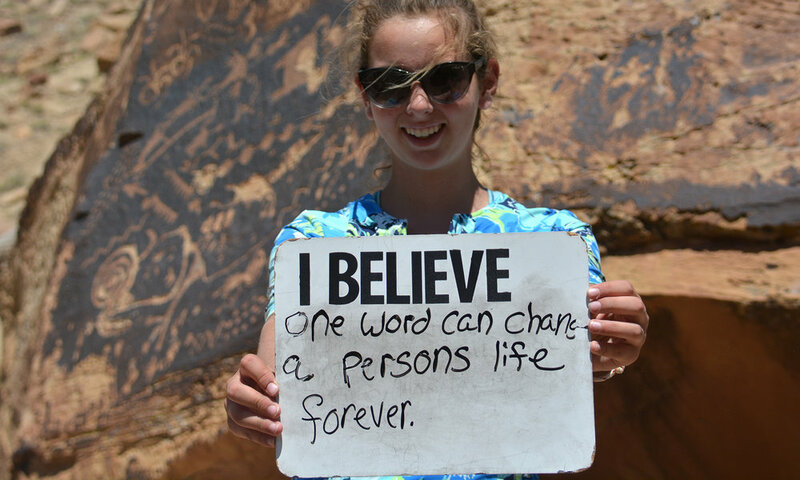 GOALS expeditions that serve kids age 10-12 focus primarily on creating connections with their peers. This is accomplished through teamwork, structured and unstructured time for play, and activities that celebrate group camaraderie. 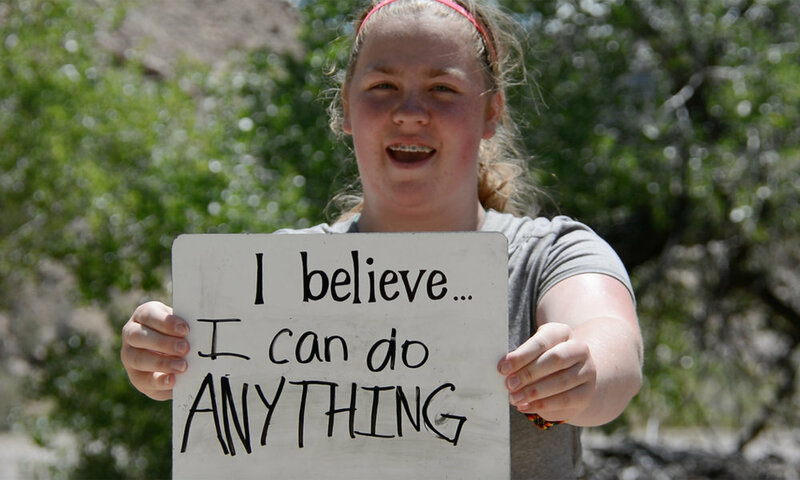 Expeditions designed for participants 12-15 year old participants focus primarily on creating connections with wild places - through conservation education and instilling a sense of ownership and responsibility for their use and protection. 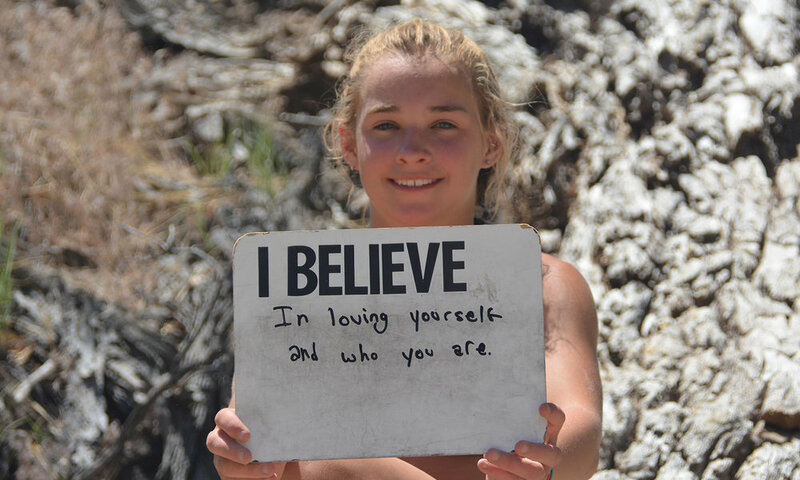 Finally, expeditions for young adults between 15 and 18 focus primarily on creating connections to self - utilizing discussions and activities that focus on personal awareness and the identification of an inner compass. While program objectives vary slightly with age, every GOALS expedition is centered around the mission that involves a connection to all three of the things we consider most important - peers, planet, and self. The growth that comes from participation in a GOALS wilderness river expedition is available to all kids. Intentional curriculum differentation, tenacious fundraising, and an array of expeditions offered in many of the world’s most revered river canyons enable GOALS to serve a broad spectrum of participants. Participation is available to any interested child who applies and is accepted - and groups can enroll through specific schools, scout troops, etc. - or individuals can register on their own for any expedition that has space available. Some GOALS participants cover their entire expedition fees, and may even contribute to the financial assistance fund we use to enable those less fortunate to experience the same growth that they will. Others will have a portion of their expedition cost reduced through GOALS need-based financial aid. Providing the level of service and type of experience that GOALS offers requires a significant investment - and we are committed to making sure that our costs are attainable for all who are interested and committed working together to cover them. GOALS participants arrive at their expeditions from a variety of backgrounds. Once we're on the river, the simple beauty is...none of that matters. Since our founding in 2010, no interested child has been unable to participate in a GOALS program due to financial limitations. Through valuable partnerships and generous support from those who value the impact that GOALS can make on all lives, we intend to keep that streak alive. We respect your privacy. Your email address will absolutely never be sold or shared - used exclusively to send exciting news and updates about what’s happening at GOALS.